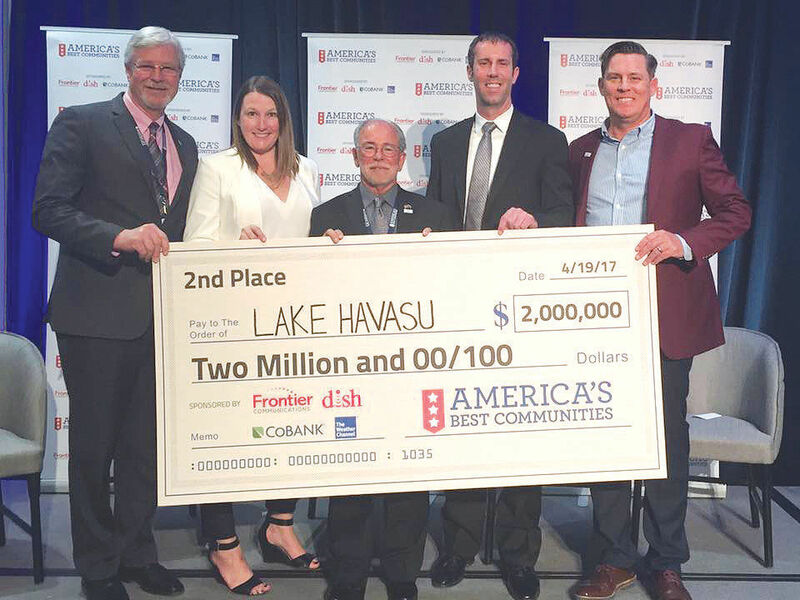 With the America’s Best Communities Contest wrapped up, the Lake Havasu Vision 20/20 revitalization team can soon decide how to spend its $2 million in prize money. Havasu entered the contest three years ago along with 350 other communities. It progressed through several elimination rounds, earning $150,000 in prizes along the way to produce its revitalization plan. On Wednesday, Havasu celebrated a second place victory and will take home $2 million. The winnings will be handed to the Havasu Partnership for Economic Development, which will deposit the money into a special bank account and allocate funds to projects prioritized by the Vision 20/20 revitalization team. The three key projects identified at a town hall meeting earlier this spring were a downtown catalyst project, an environmental learning center and a facility that would provide office space for entrepreneurs — referred to by planners as co-location. The team has not announced how the winnings will be dispersed to each project, and does not have immediate plans to begin spending. The logistics, Mayor Mark Nexsen said, will be worked out once officials come back to Havasu and can meet with team members and representatives from contest sponsor Frontier Communications. City Councilman Cal Sheehy said the Vision 20/20 team will host meetings annually to share how the plan is progressing. “The community will definitely be engaged in the process. The entire plan was created by the community,” Sheehy said. The city will have some say in how the money is spent since portions of the projects call for public-private partnerships, but it won’t have total control, Nexsen said. Planners have already considered ways to incorporate the co-location project with the downtown project. The entrepreneur space could be housed next to the public plaza intended for the former Springberg McAndrew Park. “We’re going to see how we can leverage that to make all of these things happen,” Nexsen said. City Manager Charlie Cassens said previously the PED’s offices could also be moved to that location. The PED estimates the downtown catalyst project will attract 75 to 110 new businesses and create 250 to 500 new full-time jobs. “Council already took strong action in February to authorize the purchase of the downtown parcel in order to move the downtown catalyst project forward,” Sheehy said. 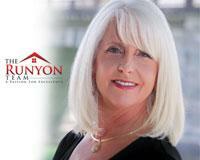 To learn more about the Vision 20/20 revitalization plan, or to get involved, visit www.havasuvision2020.com.